Google Inc (NASDAQ:GOOGL) as we know it may be over by now but Corey Johnson says in a discussion on Bloomberg’s Market Makers that the device may have a future in the enterprise sector. 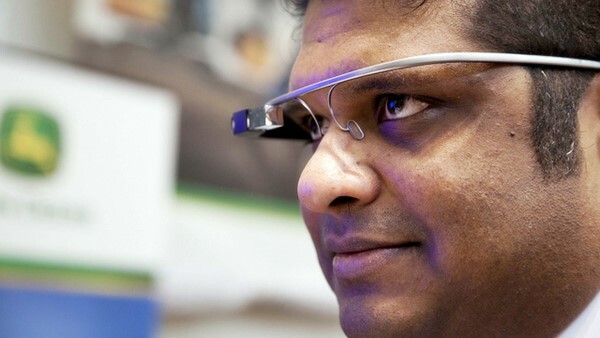 Johnson noted that Google Inc (NASDAQ:GOOGL) has made it clear that Google Glass is “graduating” meaning it will be moved to a different division of the company for further development. That division is the skunkworks shop at the tech giant called Google X. Google has just ended selling the kit developers can buy to make software for the device. “There are some intriguing business uses for this. I think the notion of wearables and wherever they are worn is a huge idea because of the power that semiconductors can carry with them when they are used sort of as sensors,” he said. Johnson noted that the desire that Intel Corporation (NASDAQ:INTC) has for selling processors not just for personal computers is because even small processors now have a lot of power. This power can be utilized for business uses, Johnson later said. He said that he has talked to companies that use devices like Google Inc (NASDAQ:GOOGL)’s Glass in factories so personnel looking at different items on shelves have information about those items in that instant. “It’s all those things where a worker’s moment by moment experience doing their jobs can be enhanced with information. […] From the enterprise, having more knowledgeable workers or having workers who don’t know much and getting them a lot of knowledge instantly starts to change the dynamics of who you hire and what they do,” he said. Johnson made it clear that he thinks Google Inc (NASDAQ:GOOGL)’s Glass project will not be a consumer product in its current form but will be a successful niche product, a category he said is still very lucrative. Jean-Marie Eveillard’s First Eagle Investment Management owned 345,235 Google Inc (NASDAQ:GOOGL) Class A shares by the end of the third quarter of 2014.